These are the stores that carry the Sparky books. I can personally attest that the stores are marvelous places staffed by marvelous people. 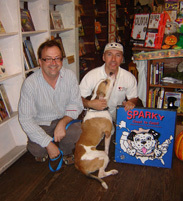 Without the help and support of these stores, Sparky's Adventures would not be the success it is today.